The latest trend in tech tools can help couples create their own array of personalized wedding effects. If you’re tying the knot at one of Thailand’s luxurious private villas, you will enjoy the freedom to design a completely unique design scheme. When it comes to personalizing each and every aspect of the decorations, 3D printers offer a magical tool that allows you to create a whole host of unusual decorative additions to add to the spectacle of the day. A wealth of adorable wedding decorations and knick-knacks can be printed for brides and grooms to show off and use, and many of these are already popular additions to the big day. Whether you go for miniature boxes filled with sweets or a cute collection of heart-shaped charms, 3D printing gives you the versatility to create something in your favoured colour scheme in a style that matches you’re overall wedding theme. Printed heart-shaped boxes offer a cost-effective option compared to similar pre-bought party favours, and couples involved in making them have the chance to experiment with a range of different hues and designs before settling on one that they like the most. 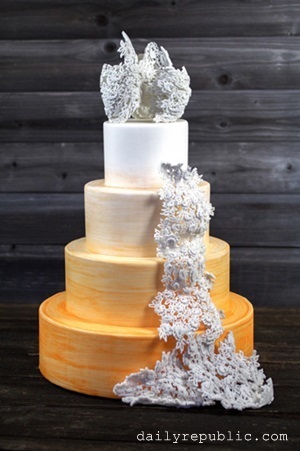 Creating unique, 3D favours adds extra wow factor to the big day. Ever fancied yourself as a jewellery designer? If so, what better time could there be to showcase your skills than on your wedding day? 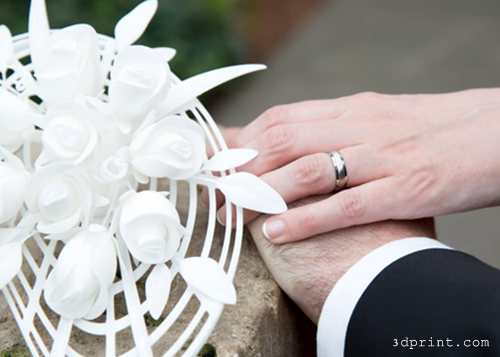 3D printers can produce items made in over 100 different materials, so brides have amazing flexibility when it comes to creating a necklace or bracelet that matches their overall wedding ensemble. If you want to make a true style splash, you could even create unique pieces of jewellery for each of your bridesmaids. This might work particularly well if they’re not wearing matching dresses, but instead have striking pieces of jewellery from the same collection. Great news for foodie couples is that one of the many materials 3D printers can use is chocolate. This makes it easy to create personalized cake decorations, or even miniature figurines of the bride and groom that can be placed on top of the cake. For extra wow factor, exact replicas including superimposed photographs of the bride and groom can be positioned on the top tier of the cake. Alternatively, a striking design such as the one by Sugar Lab can be ordered to match the bride’s veil, creating continuity through a range of aspects in the overall wedding theme. If the bride is designing her own jewellery for the big day, there’s no reason why the groom and groomsmen shouldn’t do the same. 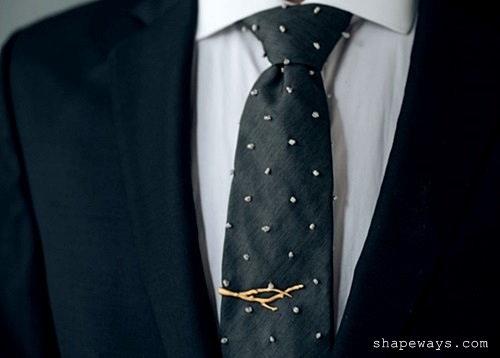 A statement necklace might not match so well with a three-piece suit, but what about printing your own tie clips? These could be in a specific design with a relevance to the occasion, and you could even co-ordinate the clips with other members of the wedding party such as the best man and father of the bride, giving everyone matching tie clips engraved with the title of their special role at the wedding. Green minded brides and grooms that don’t want to use genuine flowers at their wedding might prefer the eco-friendlier (and more permanent) solution that 3D blooms can offer. Not only can these intricate designs be saved and treasured for years to come, but unlike real bouquets, there’s no chance of them wilting in the Thai heat during the ceremony. Like every other 3D design, flowers can also be personalized to match your own tastes. A crisp, white printed design for the bouquet makes a wonderful addition to the wedding display.